CHECHESMITHNATION : My Africa Magic Viewer's Choice Awards Best Dressed Celebrities! 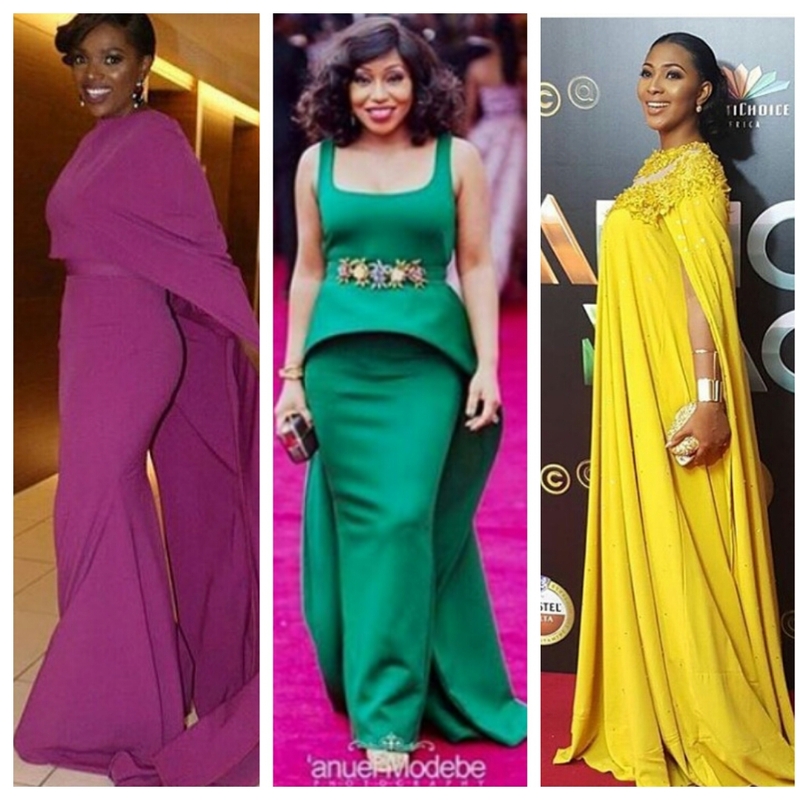 My Africa Magic Viewer's Choice Awards Best Dressed Celebrities! 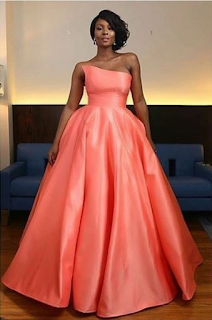 Osas Ajibade, looked pretty in this pink floor-length number by Toju Foyeh, that featured a mono-strap style.We love the glamour, and she pulled it even with less accessories. Toyin Aimakhu, One thing that came to my mind when I saw Toyin, was that Fashion is more about attitude than detailing. 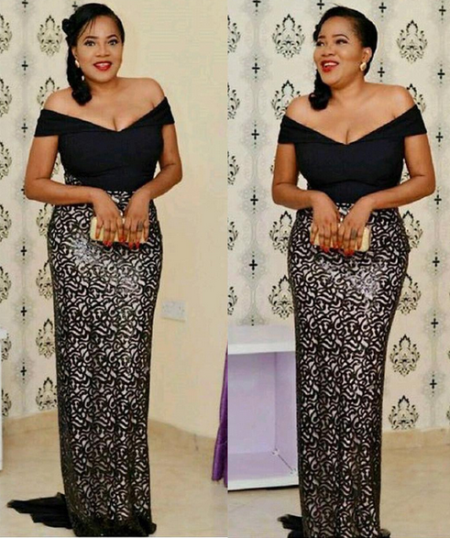 We love the simplicity of this mixture of cream and black dress picked by Bkglam. Annie Idibia, slayed looking so elegant in purple cape dress, styled by Harvellastyles...Annie, exuded beauty. Rita Dominic, always and a day our fabulous Riri slayed again. Just with less drama...Rita's green dress paired with a glam belt is my AMVCA "Show Stopper". So dazzling and drool-worthy. Lilian Franklin, sure got us, rocking this brightly colored floor-length yellow cape dress by House of dorothy bridals...so suitably stylish. 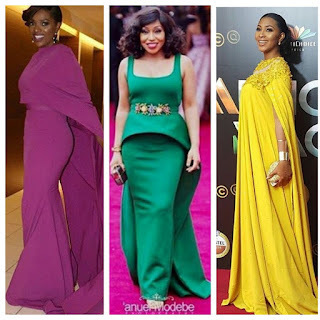 So, there you have my best dressed celebrities,who slayed for you?